The November 2015 Paris attacks were a series of coordinated terror attacks in Paris and the city's northern suburb of Saint-Denis. In a letter signed by six ISIS leaders and addressed to Abu Bakr al-Baghdadi -- the group's "caliph" -- and his deputy, the authors break down ISIS strategy abroad into two parts: operations and borders. London: The Islamic State terror group is plotting deadly attacks across Europe along the lines of the one carried out on a concert hall in Paris in which 130 people were killed four years ago, a leading British newspaper has reported. In the attacks, three suicide bombers struck outside the Stade de France stadium during a football match, followed by several mass shootings and a suicide bombing at restaurants. A total of 130 people people were killed at the Bataclan concert hall. Documents seen by The Sunday Times reveal detailed plans of terrorist attacks in Europe and the Middle East, funded and controlled by ISIS leaders who are "actively planning" to recreate the Paris-style attack of November 2015. 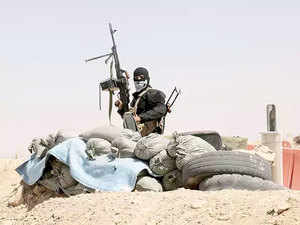 "The operations in Europe are only a fraction of the plans outlined in the documents, which were found on a hard drive dropped by members of an ISIS cell in a firefight near the militants' final stronghold in Syria earlier this year," it noted. "Killing infidel venture capitalists, hacking banks through bank accounts, bank robberies or robberies of places that are pre-studied," the letter said, adding that "after any operation of this kind, we will send the money as we procure it". Most importantly they will plan "special operations" with a "determined goal and outcome that are picked carefully". The authors list the Paris massacre of 2015 and the "Manhattan attack" of 2017, in which a terrorist-driven truck mowed down eight people to death, as "inspiration". According to the newspaper, the picture that emerges from the documents is one of the ISIS supporters in Europe and other areas outside the so-called caliphate being intimately linked with the group's leadership in Syria and Iraq and actively plotting attacks.